When do Rabbits Give Birth? Babies bunnies are just as unpredictable as human babies in their arrival times! It’s day 31 and we’re waiting on four litters to be born. And, of course, there’s a storm front moving in, which makes checking for new babies an hourly event! We’ve come to terms with the realization that it might be anywhere from 31-35 days of gestation and still be considered normal, but I’ve become a little bit bitter over the fact that I can almost guarantee if there is a storm or cold weather that could endanger the lives of newborn, naked kits… those mamas will give birth around 2 am! Over the past several years I’ve made note of what time of day the initial breeding takes place. 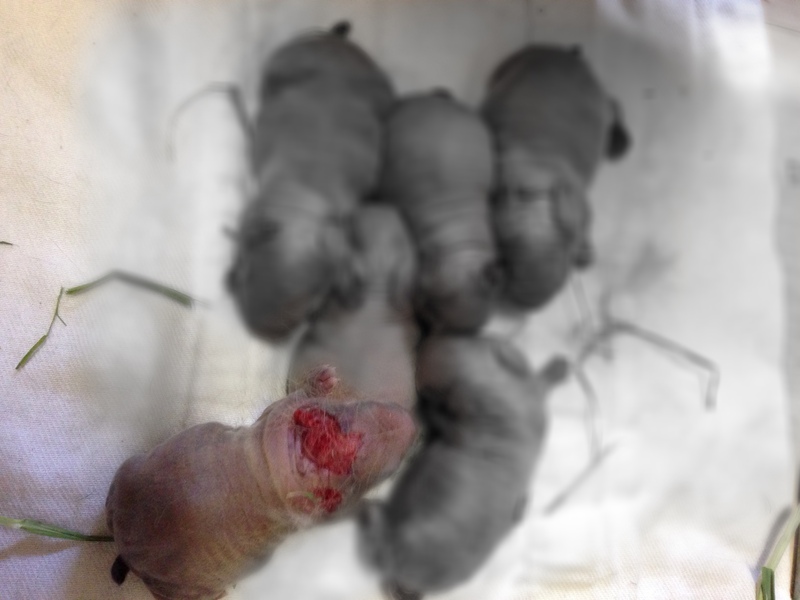 We have a fairly consistent pattern that our mama will give birth two-to–four hours after the initial breeding. It could be coincidence, but we typically breed our rabbits in the afternoon and almost always have babies born around dusk. Our mamas will usually go off food in the 24 hours prior to giving birth. If a doe poops in her nestbox she usually isn’t pregnant. The vast majority of our does don’t start pulling hair until less than an hour before they give birth. Most of our does are very predictable and pull tons of hair from their dewlaps and tummies; we can trust them to take excellent care of their babies outside even when the temperatures drop to the high teens. Between the shared body warmth of the litter and the insulating factor of the rabbit hair and hay, they can have quite a cozy little nest with temperatures in the 80s in the hole! However, our first time mamas don’t get any free passes! If we have an unproven doe about to give birth and we have freezing weather we check the cages about every hour all night long to make sure those babies aren’t frozen just in case they’re born on the wire. Now, back to baby watch… hoping for some new little munchkins by tomorrow morning! It was a rough day around the rabbitry for No Ears. If you’ve been following our blog for awhile, you’ll remember that back in February we had a litter of Cinnamon born where their first-time mother got over zealous in her cleaning at birth and ate the ears of several of her kits! Most were damaged only a little bit, but one poor rabbit had his ears bitten right down to the ear base. No Ears’ baby photo. He’s … the one with no ears. This little buddy has been known as “No Ears” since then. I wasn’t sure he’d make it through the summer, as rabbit ears are important for a rabbits body temperature regulation and our rabbitry is outside in Arizona! (It’s a mountain town but it can still get hot here!) He made it through the summer just fine but this afternoon… he’s hit a spot he probably won’t make it through. We have children here. Our children get rabbits out and play with them almost every day. Our rabbits are loved, harrassed, and spend time hanging out on a trampoline with kiddos regularly. When you have children and animals, there’s a special level of kindness necessary on the part of both the children and the animal. We think of it kind of like this – the children have to treat the animals in a way that will engender trust… and the animals have to not bite the children. We’ve only had two biters around here and both found their way to the slow cooker almost immediately. Today, No Ears made the unfortunate choice of unleashing his teeth on my arm. At this moment, he’s still breathing, but he signed his death warrant with that decision. Some might say we’re harsh to have such black & white stance on the subject, especially since No Ears is the last of his line and has a pretty nice body type. I’m tempted to breed him before he hits the road… but we’re also firm believers that personality is a genetic trait as much as body type. No Ears has proven his mama was a biter and he’s a biter – I’m a little concerned about any animals produced out of him and their demeanor. Do any of you have experience with this? Can you confirm or deny the biting tendency and whether it is passed down from generation to generation? So… we’re slowly becoming an “oily” family. We’ve been doing research on Essential Oils, the different companies, and how they work. We haven’t committed to any particular brand or theme as we go about our lives, but every night the kids get their “mellow mix” essential oil on their wrists and we use a mix of tea tree, lavender and chamomile on rabbit scratches all the time. Takes the sting out right away! Because we’re so interested in this right now, I was super excited to see these infographics released! 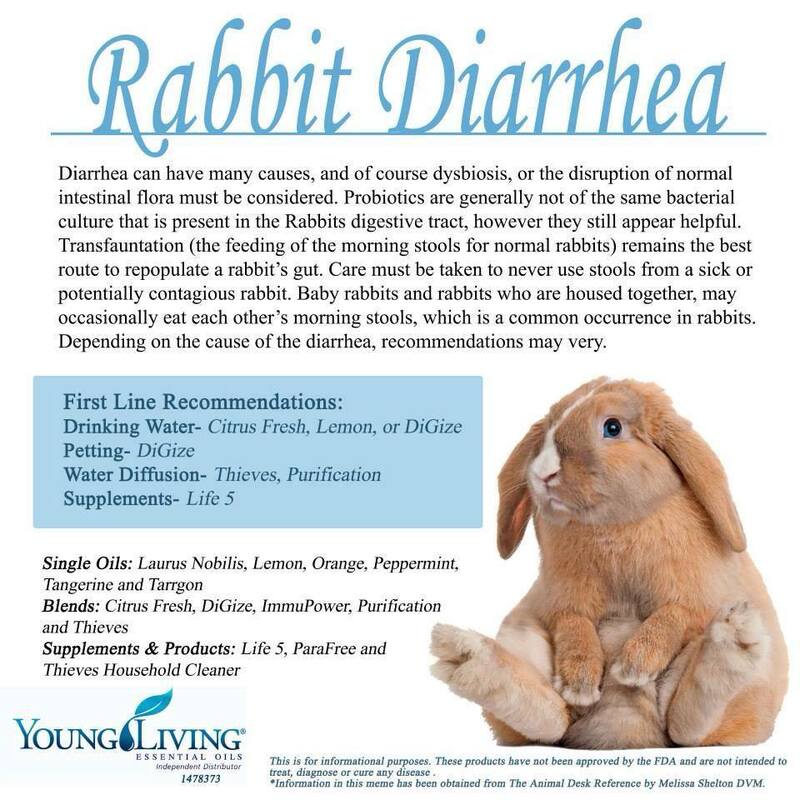 I have heard they need to be read carefully (for example, frankincense is allegedly poisonous to rabbits!). Here’s the upshot, this is not an endorsement of any particular essential oils company. 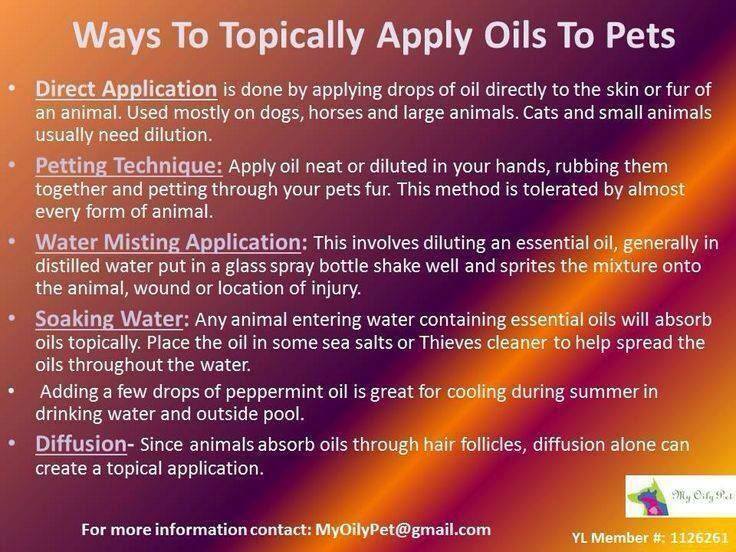 Double check with an expert before you use any essential oils on your animals. And… here they are! The infographics! Sometimes you just need to know how to begin! 1. How many? The number of rabbits you choose as an initial investment depends on your purposes for your rabbitry. If you are looking to show, you’ll likely want to consider three does and two bucks per breed. 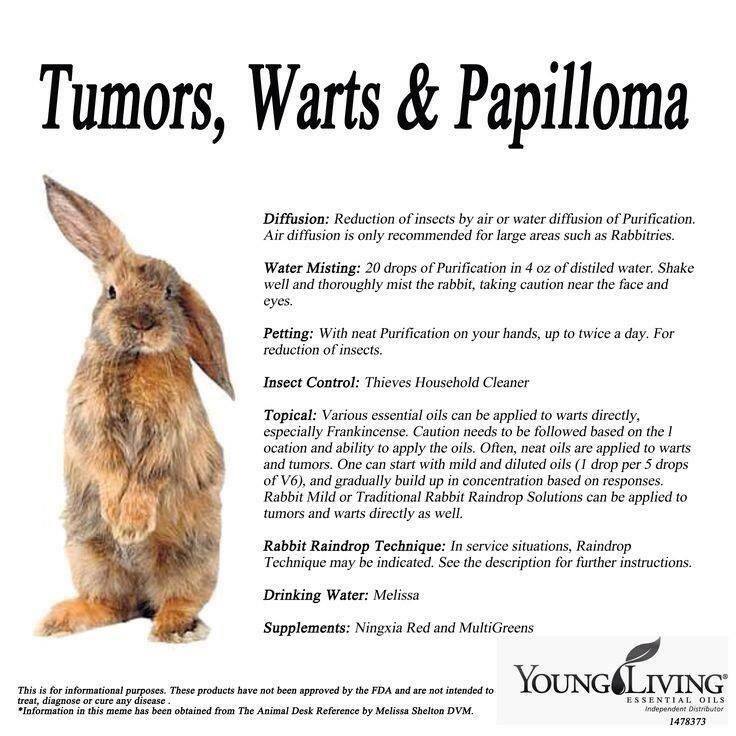 You’ll want some options for genetic strength, plus it’s not as much fun to take a single rabbit to a show. Set yourself up for success by giving yourself some options. If you are specifically breeding for meat, a trio of two does and a buck will be a strong start, even closely related rabbits would be fine to start as long as you have a plan for infusing new blood sometime in the next year or so. Ask yourself how often you’re hoping to have rabbit on the menu? How many mouths are you feeding? 2. What’s your Budget? 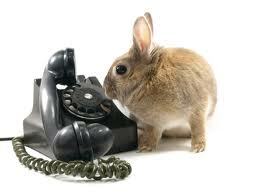 Your purposes for your rabbitry must inform your anticipated budget. Are you planning to keep rabbits only for your own consumption? Then an unpedigreed meat mutt might be a good start as they are typically as much as 50% cheaper in initial investment. The downside to an unpedigreed rabbit is you don’t have an idea of the size or colors in the background of the rabbit – of course, if your main goal is for meat… those are considerations that really don’t matter! In this area meat rabbits are sold for around $25 per rabbit (I’ve heard people quote a range from $5 to $35 for a meat mutt around the country). 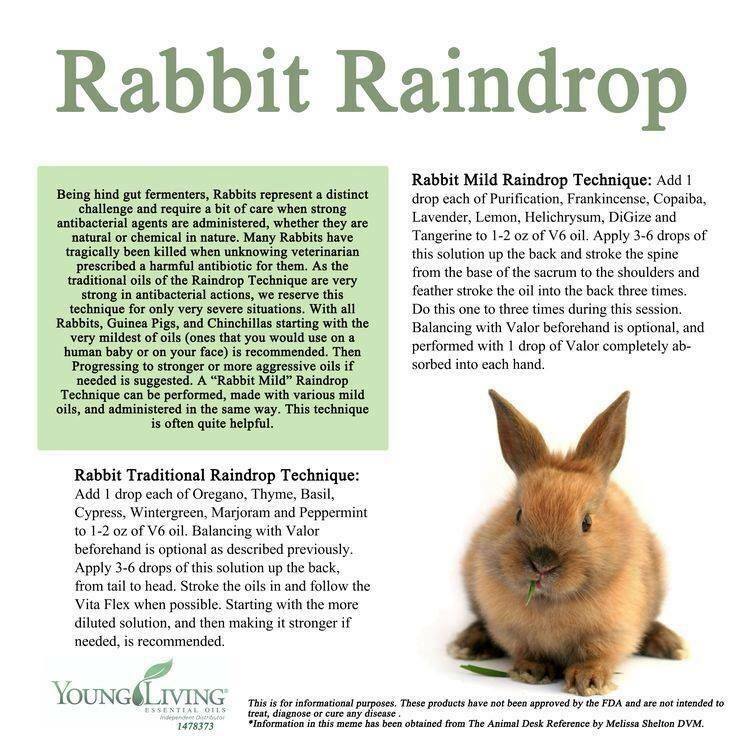 Are you hoping to sell the babies of your rabbits to offset other rabbitry expenses? 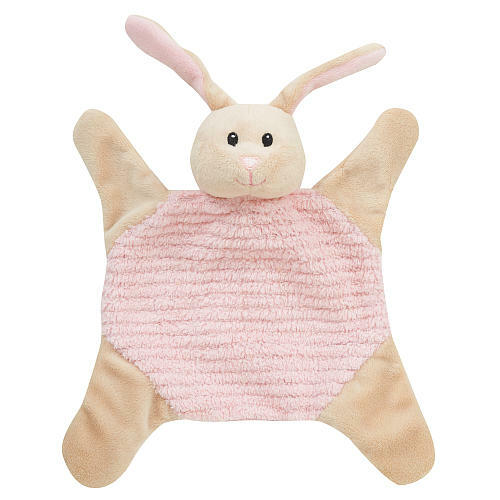 Then you’d better be willing to spend a little more for a pedigreed rabbit as your initial purpose – a registered rabbit is even better if you can find one. The pedigreed rabbits I’ve seen advertised are anywhere from $45 to $150+ per rabbit, depending on your lines, the show worthiness, proven or unproven, registered, etc. Obviously, with that much of a price range, it makes sense to consider your intended outcomes before you make your first stock purchases. I will suggest to purchase the best quality rabbit you can find in your price range. Don’t go simply off of slick websites or advertisements, instead contact several breeders and ask for recommendations. 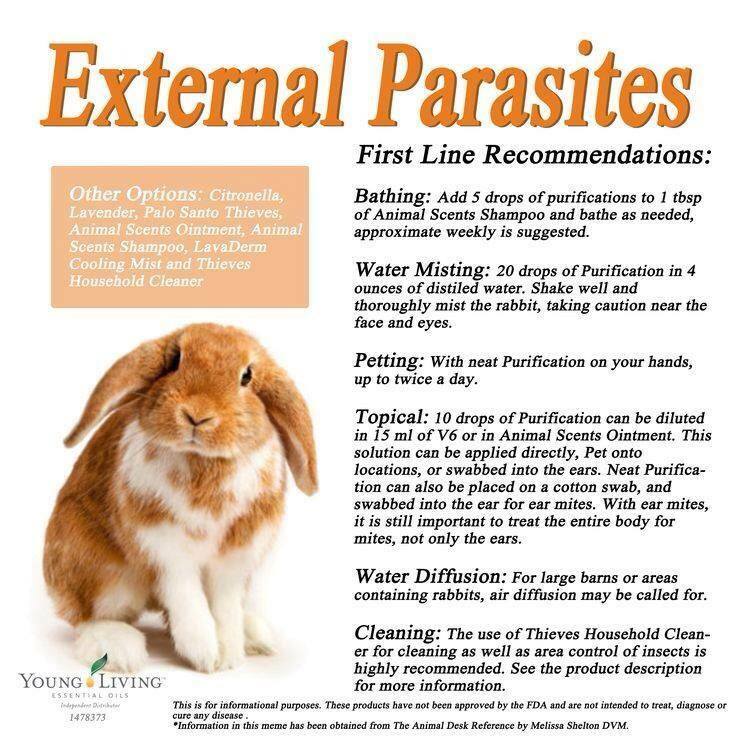 Facebook is a good way to connect with other rabbit breeders, although be cautious – sometimes the people who post the most and sound the most knowledgable are the same ones you should avoid at all costs. Particularly on Facebook, once you’re in the group for your rabbit breed, spend time reading through the archives of comments and posts. Over time you’ll get a sense of those breeders who have a similar value system to your own… contact them and see what can come from that! 3. What will you Feed? 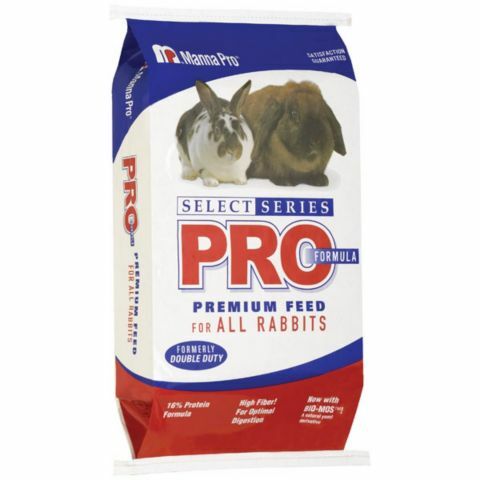 Are you planning on feeding your rabbits pellets or letting them range and eat grasses? A smart buyer will purchase their initial stock from a breeder who is set up similar to what they want to do. 4. Where will they be Housed? Similar to the advice on feed, consider whether the rabbits will have a similar environment to what they have been used to when they come to your home. Our rabbits are outdoors 100% of the time – and they don’t all transition with excellence to an indoor garage rabbitry! On the other hand, we’ve purchased rabbits coming from a garage rabbitry and there’s been a significant adjustment season for them to enjoy life in their new outdoor space with a view! On the same lines, consider temperatures. A rabbit used to Phoenix temperatures will likely not fare very well in, say, Minnesota if it goes to it’s new home in January! 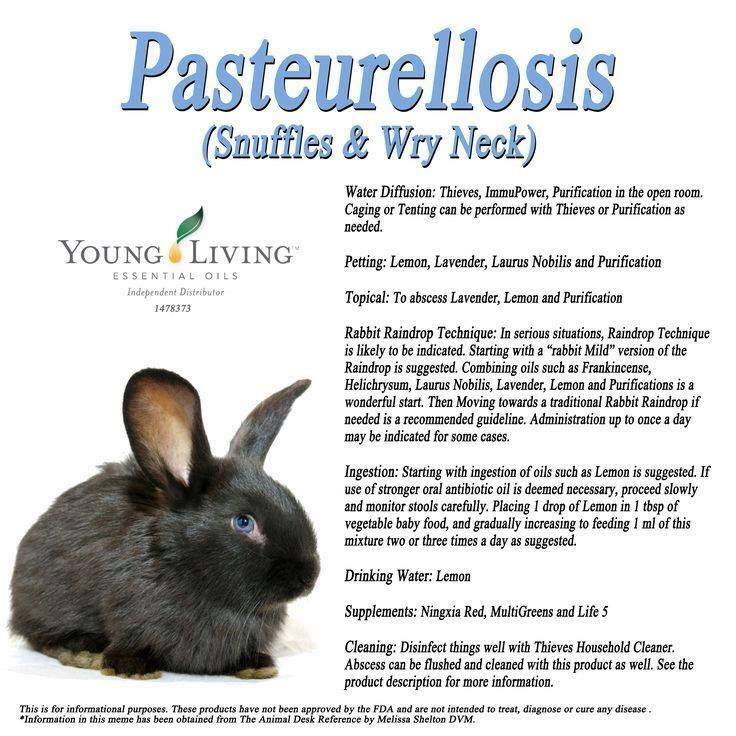 Try to either purchase your stock from a rabbitry in a similar climate to your own or in a “shoulder season” so the rabbit has time to transition to the new season with as little stress as possible. 5. What breed? 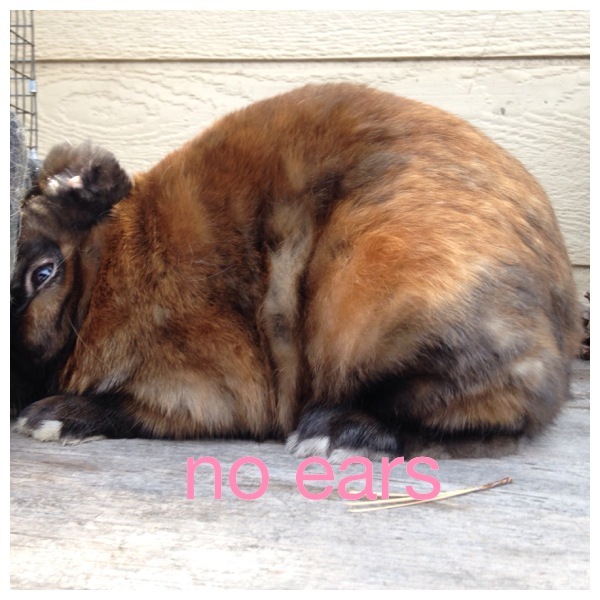 Do you want a 13+ lbs Flemish Giant rabbit? Is a mini Satin going to be just the right fit on your lap for a snuggle? When you look at your rabbitry, which rabbit is going to take your breath away just by looking at it? Start browsing photos of the different rabbit breeds. Educate yourself on the pros and cons of each breed – they all have both! Ask yourself again what your goals are for your rabbitry, and what gives you joy. There is a great deal of poop cleaning, water bottle scrubbing, consistent feeding, etc. 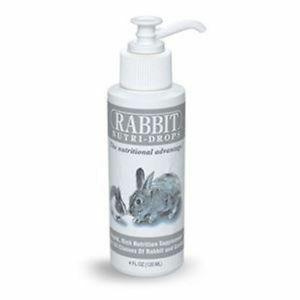 necessary to care for your rabbit – so whatever you do, get a breed you enjoy watching move! Learn about their personalities and make an educated decision. Genuine pleasure in being around the animal makes the endless hours of husbandry less daunting. 6. What breeder? Do you want a simple transactional purchase of livestock? Do you want to develop a relationship with a breeder? Do you want someone you can contact months after the sale and ask questions about raising your animals? 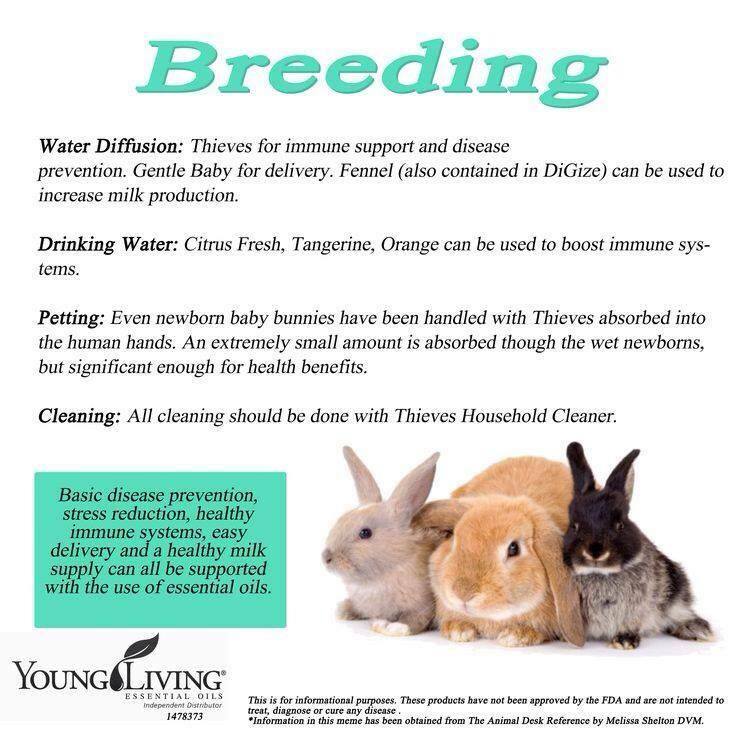 What is the breeder’s philosophy about rabbit raising? Take your time in selecting a breeder. Some people will be attractive to you right off the bat and you just know they’re the right fit for your first rabbit purchase. Others are the exact opposite and you’ll know you don’t want to work with them right away. Occasionally you’ll work with someone you don’t particularly like because you’re terribly interested in their specific stock! Challenge yourself to think through some of these questions as you start your search so that you’ll recognize a good fit for a breeder quickly. Relax! Regardless of anything else, relax! It’s a rabbit! We’re over the top crazy about these little critters, but they still are just that… critters! There is not a thing in this hobby/lifestyle that can’t be adjusted or fixed, so try not to freak yourself out with all the options. Just relax, have fun, and be intentional about your rabbitry! 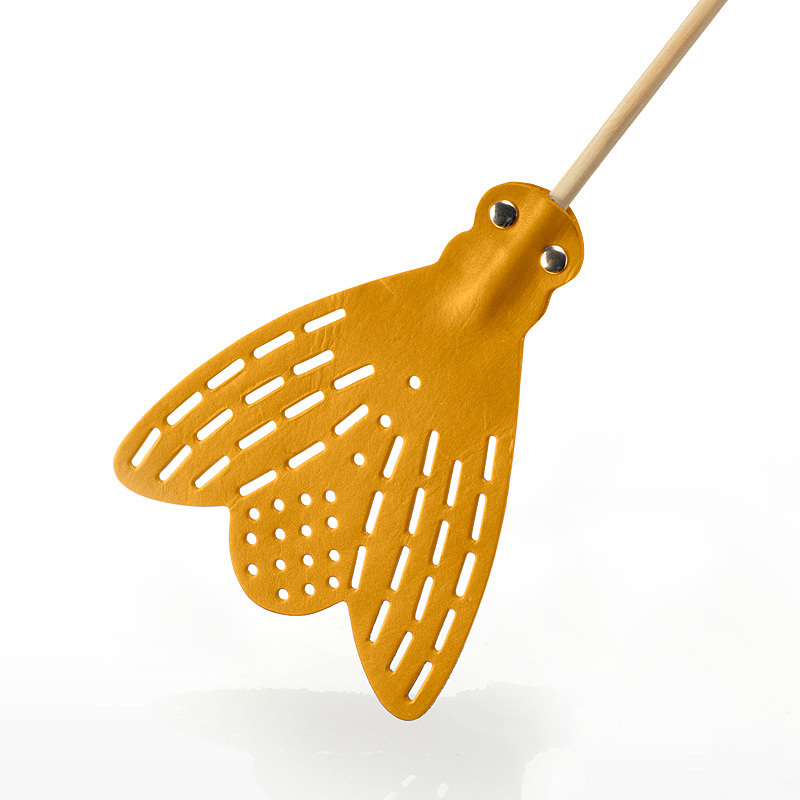 It’s starting to look like summer has arrived and with it… the flies. An absolute fact of animal husbandry is that flies are attracted to animals, specifically to their poop! We do our best to keep the bunny berries to a minimum under the cages around here, but the reality is that as soon as the weather starts to warm up, we start to see unwelcome visitors in the air all around the rabbitry. Last summer we used the fly-catcher gallons of water, 2 liter bottle tricks. We were able to get these at our local feed store and —based on the fact the bottles were filled with dead fly bodies — they work. They also smell. Decomposing fly bodies is not my favorite scent in a season where we’re already battling so many other… succulent… scents. So, while we will likely be hanging fly strips around and utilizing the stinky bottles as fly catchers, we decided to also plant mint around the bases of all of our hutches. I’m sincerely hoping this natural fly deterrent will cut down on the winged pests around here as well as release a pleasing scent as we walk by and brush it. We chose to plant at the bases of the hutches because that also gives the mint access to the yummy nutrients the rabbit poop provides for soil. (Did you read about the benefits of using bunny berries in your garden? They’re phenomenal!) We’ll be able to water the plants as we water the rabbits, stir up the scent as we brush by, and hopefully! see less flies in the air. Mint isn’t the only natural fly repellent and we’ll be planting these others (especially the basil!) around our backyard to see if we can get more traction on a fly-free environment! As I write there is a wildfire raging less than 20 miles away from home with a current 0% containment. It has exhibited extreme fire behavior and consumed more than 4500 acres of land in just over 24 hours. Our friends who live closer to the fire area are on pre-evacuation and, while I really suspect we will not see any danger at our home, we are carefully considering what measures we will take if we need to evacuate the area ourselves. Too many times I prefer to sit in la-la land, assuming the best of everyone and believing that nothing out of the ordinary will ever happen. However, as so many of us know, this is simply not the reality. Life is unexpected because, well, life is unexpected! Admittedly, this seems like overkill in the case of a magician and his single rabbit, but the reality is it’s good business and solid animal husbandry. Many of us depend on these animals to provide for our family’s protein. They are defenseless without daily care taking – and if we want to be ethical (who doesn’t?!) we really must give some thought to how we could best care for these animals should the worst occur. Truthfully, while the bureaucracy is intimidating (and overkill), it’s also really useful to take a look at these guidelines to see where the holes may be in your own rabbitry emergency response manual. I’ve had many of these ideas floating around in my head off and on, but I’ve never committed them to paper and communicated with my family about the plan for the rabbits in case of emergency. Transportation vehicles and equipment/caging. Do you have carriers for every animal you have on site? Once filled, do you have a vehicle that can fit and transport all of those carriers to safety? Alternate location for housing animals. Where are you going to take your furry friends where they will be welcome? Most Red Cross shelters are open to humans, not animals! Husbandry and care needs for the animals during transport and once animals are relocated. Do you need nest boxes? Do your carriers each have a water and food bottle? Do you have enough food on hand to send it with the animals and expect it to last until the emergency is resolved? Are there significant temperature or climate differences between your home and the relation spot that need to be considered? Animal Identification. Are all your animals tattooed in a timely manner all the time? Do you have a list of which tattoo number belongs to whom out of the danger of the disaster? Records Transfer. Do you have electronic back ups of your pedigree programs? Breeding records? How about a paper copy of registrations and Grand Champion certificates, as well as Bills of Sale? Are these stored in a location that would be unaffected by your disaster? Actually practice the plan. Nothing on paper is committed to memory unless it is practiced. In an emergency situation, a bale of hay can go a long way for a lot of rabbits! Having a bale on hand at all times provides a distinct level of comfort. Identify — in advance — which animals can be quickly culled and which are essential for the survival of the breeding program. Write it down and consider identifying their cages with a mark so anyone helping with the evacuation will know where to focus their energies. What is available for nursing mamas and their babies for transport? Possibly laundry baskets, banana boxes, or larger pet carriers are a possibility. 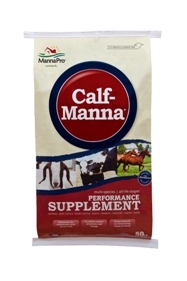 How many bags of feed do you use a week/month? Do you have a 30 day supply as a general practice? Consider the ethics of releasing domesticated animals to fend for themselves in an emergency. Obviously, the priority in any situation must be the humans… but to expect natural survival instincts to kick in for a rabbit that has been bred to be dependent upon humans for decades is irrational. Their care must be a priority in the same way a human baby should be protected in a disaster. Do you have a “go bag” of rabbit first aid packed with items like gauze, Neosporin, critical care, electrolytes, nail clippers, Vetricyn, etc. Where is your tattoo kit? Where is your plan kept? Is is handy where you can grab it and skim if your mind is stressed and you’re worried about other things? Could you hand your plan to a helper and feel confident they would understand your methods and wishes from what’s written down? What about copies? I have my pedigree program on my computer – but if my computer is damaged I’m in trouble! I also have a notebook binder with rabbitry information. This needs to be copied and sent to a safe place completely separate from my zip code in case the binder burns or is damaged through water or wind attacks. I hope this post isn’t the world’s biggest downer! I’m a big believer that if you see 10 problems coming down the road at you, 9 will fall into the ditch before they ever meet you. BUT — there’s always that one… and Murphy’s Law!